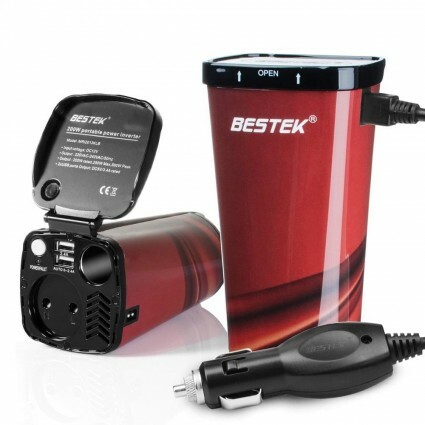 BESTEK 200W power inverter, coffee box designed, is stylish and portable, perfect for car users during trips or in any situation where power is off for emergency. 5-in-1 design with AC outlet plus USB ports can intelligently detect and charge your devices in the fastest and safest way. 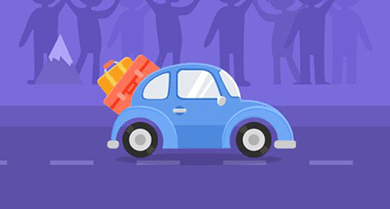 The car inverter can provide 200 watts continuous DC to AC power and 400 watts peak output power, enabling you to charge or operate mobile devices or high power electronics in a fast and safe way. Combo of 1 AC outlets, 2 USB ports and 1 cigarette lighter socket allows you to charge 5 devices simultaneously. 4.5A/dual USB ports can automatically detect your devices to deliver optimal charging speed, great for iPhones, iPads, tablets, MP3 players, cameras, etc. This power inverter is specially designed like a coffee cup with small size, portable and stylish for users to carry on and use in car. You can charge it in your car with car charger that can fit in the cup holder itself, pretty nifty. Built-in 25A/32V fuse, it can protect devices from overvoltage, under-voltage, overload, over-current, overheating. (Applied for a 12V car but not 24V). The auto-shutdown can keep your appliance and car from damage. Special the lid design can protect the inverter from dust which may collect in the slot to keep it clean and stable performance. Caution! Understand your product wattage. Not designed for high power electric devices such as hair dryers, electric heaters, curling irons etc.